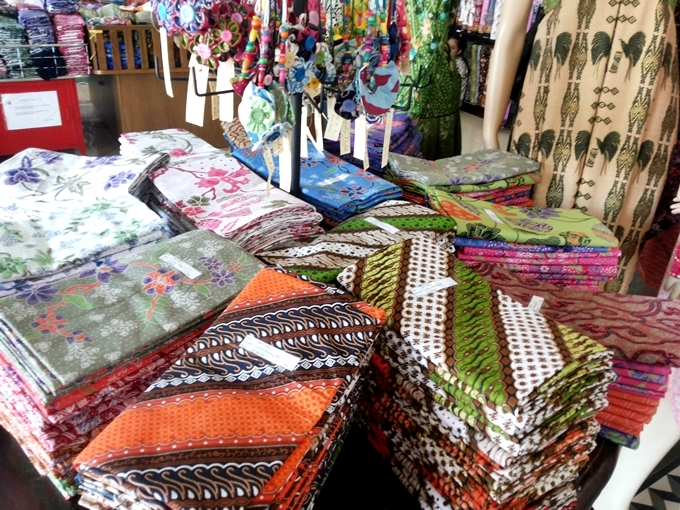 Another batik paradise in Cirebon, EB Batik Tradisional, the center of Cirebon's handicraft, the famous place where people can find luxurious batik. 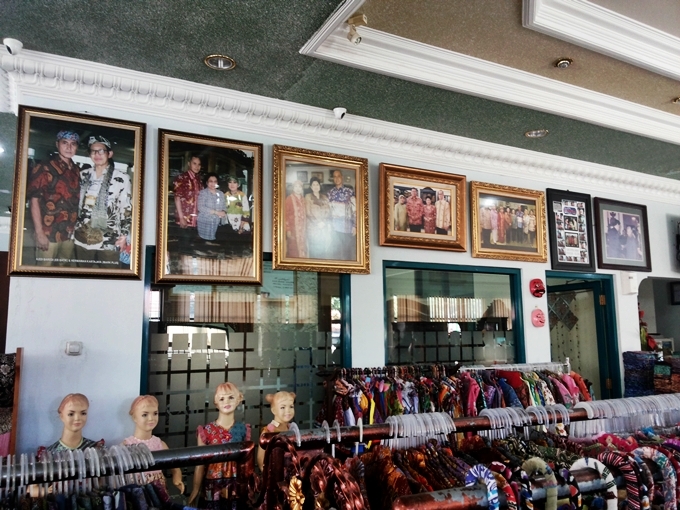 Located in representative area at traditional center, Jalan Panembahan Utara No. 1 Plered, or about 3 km from down town. 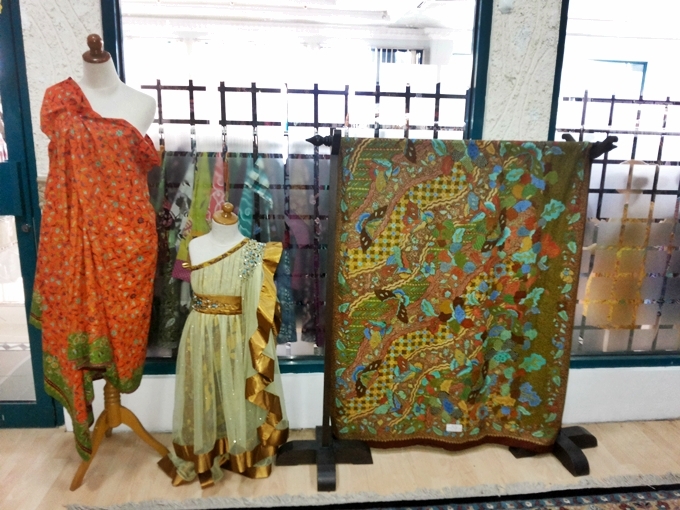 They serve any kind of handmade batik and print combine with Cirebon's motif made from different fabrics such as cotton, china silk, organdy, chiffon, woven silk, etc. 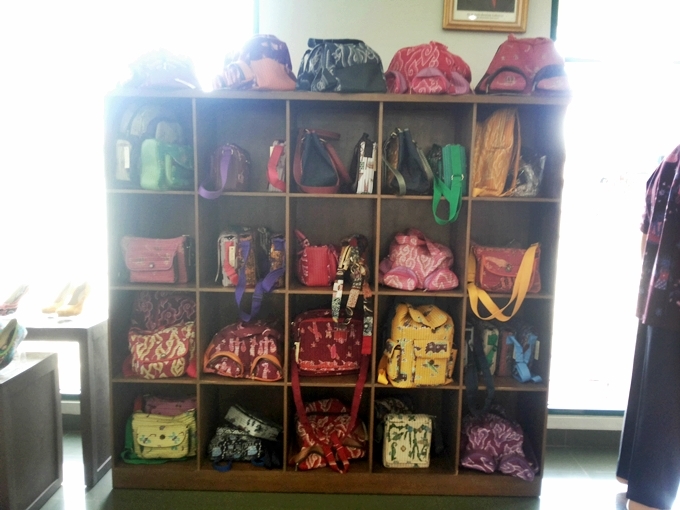 Many variant of goodies can be found here such as apparels, shoes, bag, necklace, and the fabrics itself, all are batik. 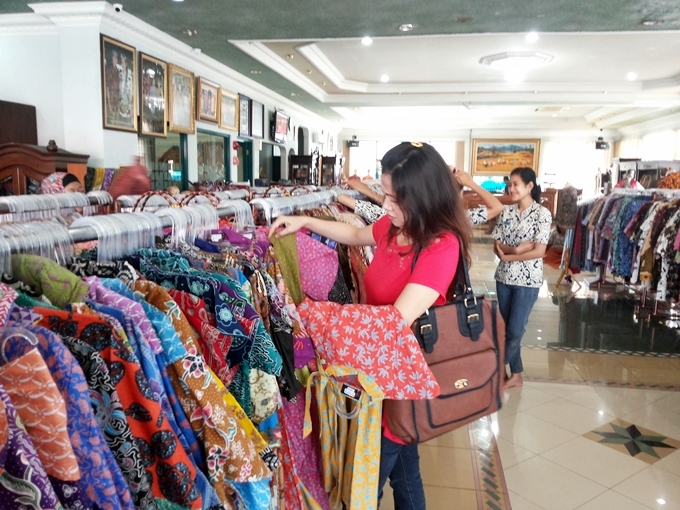 The price so affordable and friendly with that good quality. 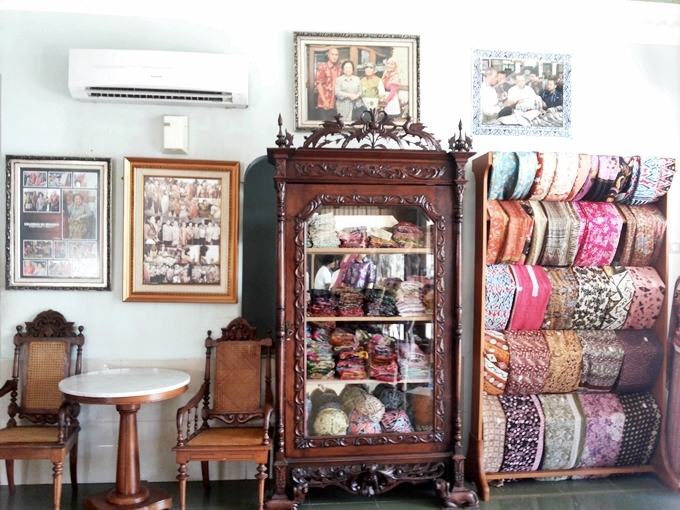 Several popular figures have already visited this place, even The President of Indonesia, Mr. Susilo Bambang Yudhoyono and the First Lady, Mrs. Ani Yudhoyono. 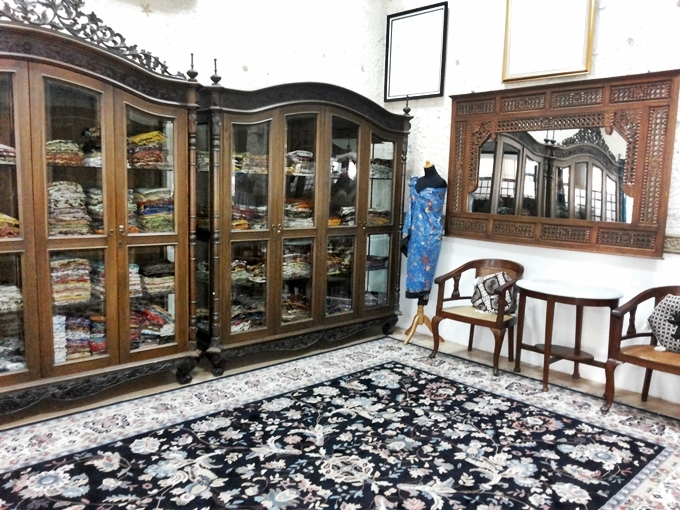 The classic interior mixed with modern style is designed nicely without leaving the national culture made me stay longer while shopping there. They have special close space for The Premium Collection. 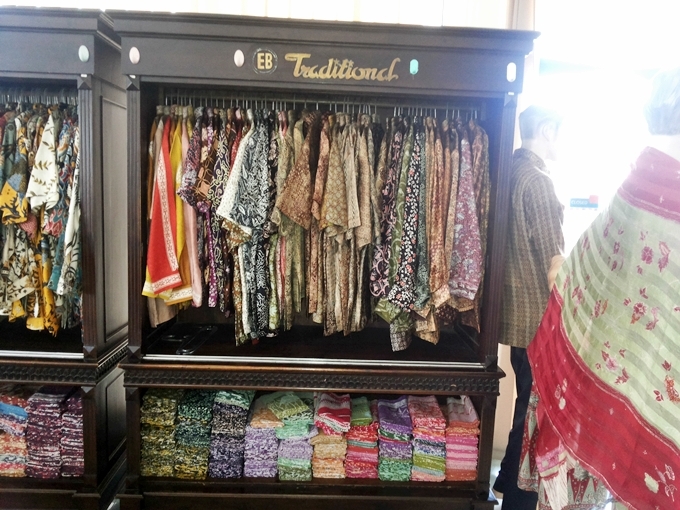 There are fancy fabrics and dresses. 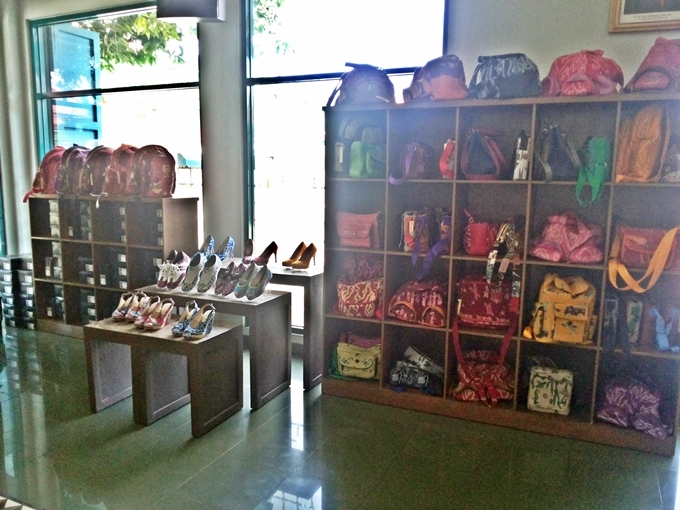 The collection is made from high quality materials and excellent manufacture. 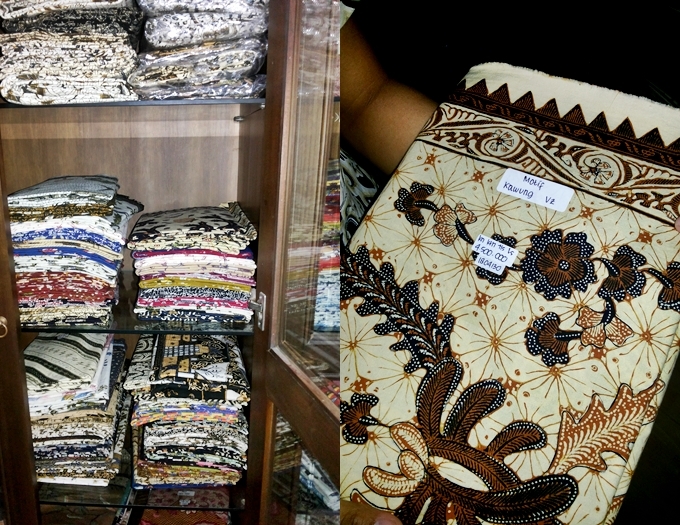 Of course the price is quite expensive, can reached million rupiah.